How to find whatsapp audio files on iPhone? How to get back lost whatsapp audio messages from iPhone? Read here to retrieve missing whatsapp audio messages easily. How to find lost whatsapp audio files on iPhone? I found such a situation from Apple forum and one user wants to retrieve lost whatsapp audio messages from iPhone 6 and he cannot make sure whether he had an iTunes or iCloud backup. Thus, is it possible to get back lost whatsapp audio files? We all know that when data like whatsapp messages, audio files are deleted from iPhone, it doesn't permanently deleted from iPhone. They are still kept in iPhone if not overwritten by new added data. Thus, you still have the chance to recover the lost data from iPhone. But unlike text data, media data like audios take up much more space on iPhone, thus once deleted, it may be hard to retrieve them if without backup. Thus, in order to find lost whatsapp audio files on iPhone, you'd better have an iTunes or iCloud backup. 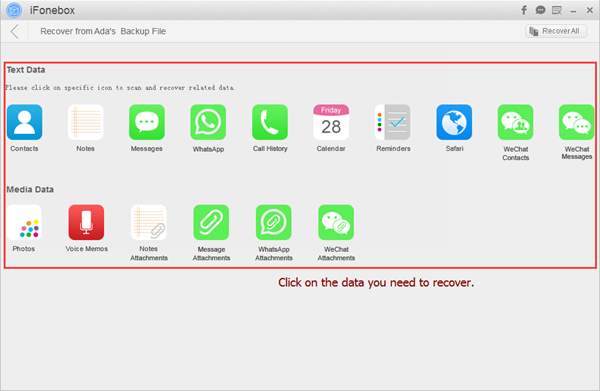 Next, what you need is the help from iFonebox, a professional iPhone whastapp data recovery tool. 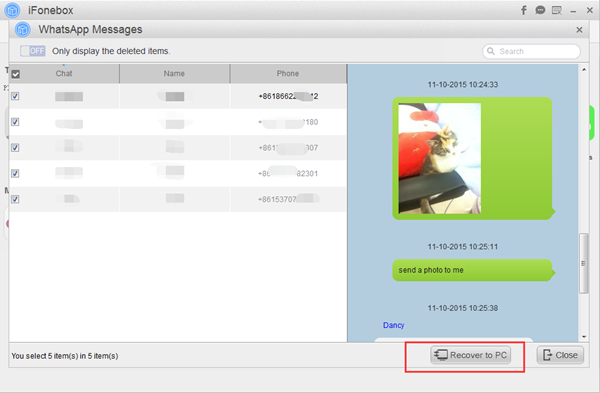 iFonebox is powerful at recovering deleted whatsapp messages, text messages, wechat messages, contacts, etc, from iPhone or iPad directly. Plus, if you want to selectively restore lost data from iTunes or iCloud backup, iFonebox will be your best choice to extract data what you need from backup. So cool. 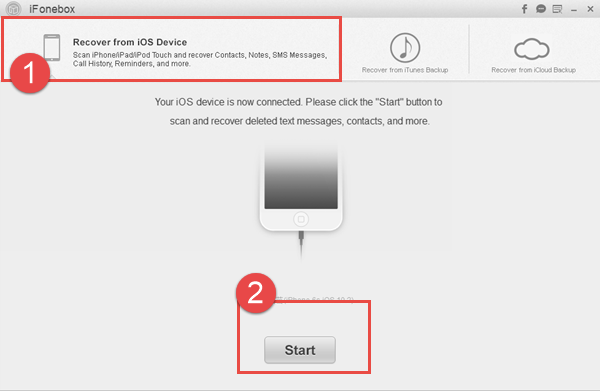 Next, I will share detailed steps to help you retrieve lost whatsapp audio messages from iTunes backup selectively. It is necessary to download and install iFonebox on your computer firstly. There are two versions optional: Windows version and Mac version. Just choose one to download according to your computer running system. How to find lost whatsapp audio messages from iPhone backup? Scan WhatsApp attachments from iTunes backup. Just click on WhatsApp Attachments item to start automatic scanning and analysis process. Audio files are stored in WhatsApp attachments. Preview and select deleted whatsapp audios to recover. Now you can view and select those deleted whatsapp audio files you need and then, click Recover to PC button to finish the whole process. In a word, it is quite convenient to retrieve deleted whatsapp audio messages from backup selectively on iPhone via iFonebox. Also, you can try another two mode: Recover from iOS Device and Recover from iCloud Backup mode to retrieve lost whatsapp audio messages on iPhone within the help from iFonebox.